Chancellor George Osborne has decided to ban the pre-release of the main points of the Budget to the press following the recommendations of a report. A review, conducted by Sir Nick MacPherson, was undertaken after the Evening Standard this year tweeted a picture of its Budget front page before Osborne had delivered it to Parliament. The report confirms that the tweet, and breach of embargo, was “inadvertent”. MacPherson also revealed that all of the main broadcasters in the UK are given pre-released information. There was no mention of any national newspapers. Evening Standard political editor Joe Murphy was given a pre-briefing on some of the contents of the Budget the night before it was delivered on the telephone, the report said. Broadcasters, meanwhile, were given briefings in person on the morning of Budget day. The report did not specify how long this has been common practice, but said it was at least in place in 2010, when the Evening Standard moved its printing deadline forward to make its first edition ready by 2pm. MacPherson recommended “that the Treasury introduces a ban on the pre-release of the core of the Budget (and Autumn statement), that is: the economic and fiscal projections, the fiscal judgement and individual tax rates, reliefs and allowances”. Speaking to the Treasury Committee today Osborne said he had accepted the recommendation but ruled out not talking to the press at all. "I think it is sensible to ban the release of that information so that we do not get a repeat of what happened this year," he said. "I think this approach will protect the integrity of the Budget and protect the integrity of Parliament hearing this information first." 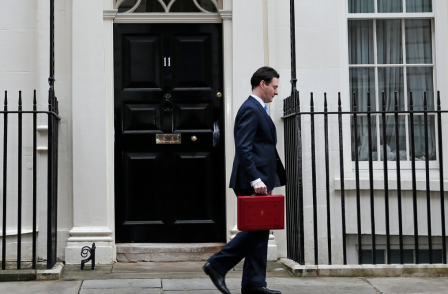 After publishing details of the Budget on 20 March, before Osborne’s delivery, editor Sarah Sands said: "An investigation is immediately underway into how this front page was made public and the individual who Tweeted the page has been suspended while this takes place. "We have immediately reviewed our procedures. We are devastated that an embargo was breached and offer our heartfelt apologies." "We are so sorry to the House of Commons, to the Speaker and to the Chancellor for what happened. We shall be apologising to them."